It's SPRING-TIME! 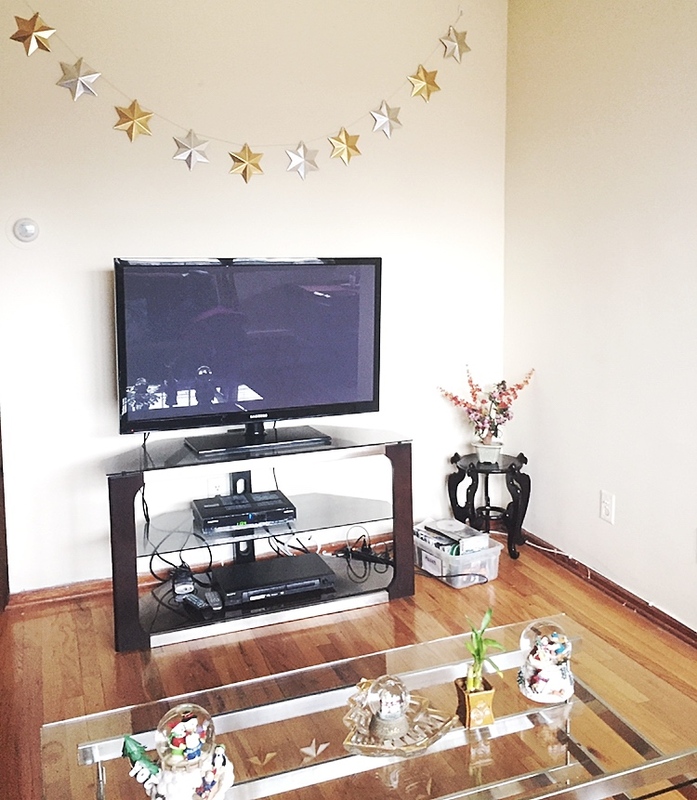 What better way to give your space a makeover by adding color with flower decor! Pintrest definitely inspired this impromptu DIY session and also looking at home decor magazines. 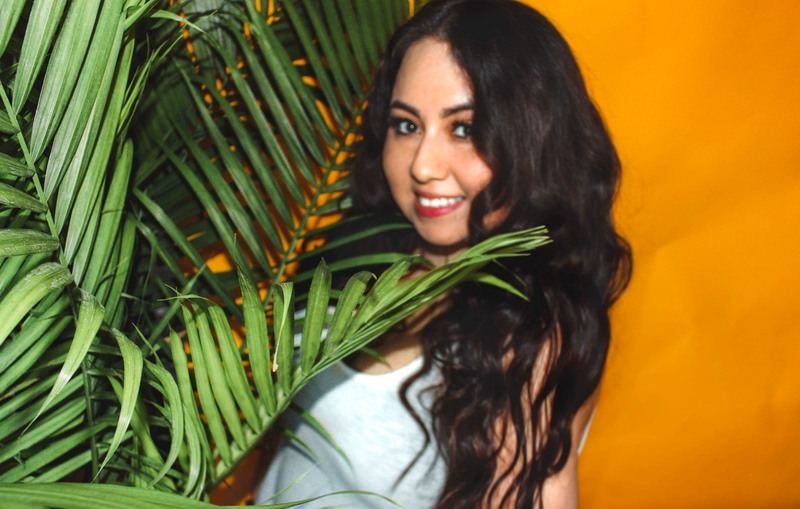 It was pretty easy to recreate and you can either have this as simple decor or as a fun backdrop for photos! From what I've seen this idea was usually used as bedroom decor over a bedframe or office space. I had the idea to put this creation in my mother's living room. 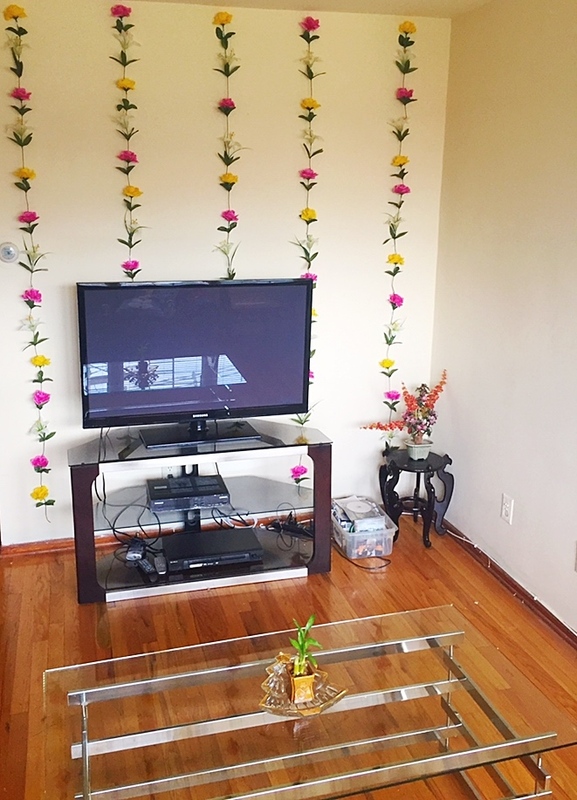 My grandmother and mother are obsessed with flowers and haven't changed much of the decor in this space since New Years Eve (Before and After Photos Below) I took it upon myself to switch up the vibe and add fun color to brighten up the space and they loved it! 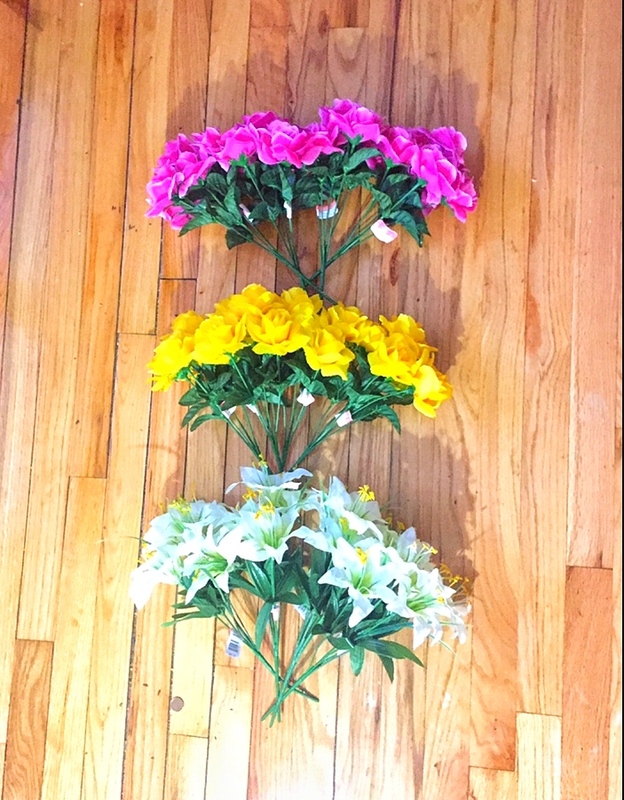 So depending how you want to design your flower wall depends on the amount of flower bouquets you buy. I bought three sets of flower bouquets for each color from my local A.C Moore and they were all on sale, plus I had a coupon which made the floral arrangements to be under $5. 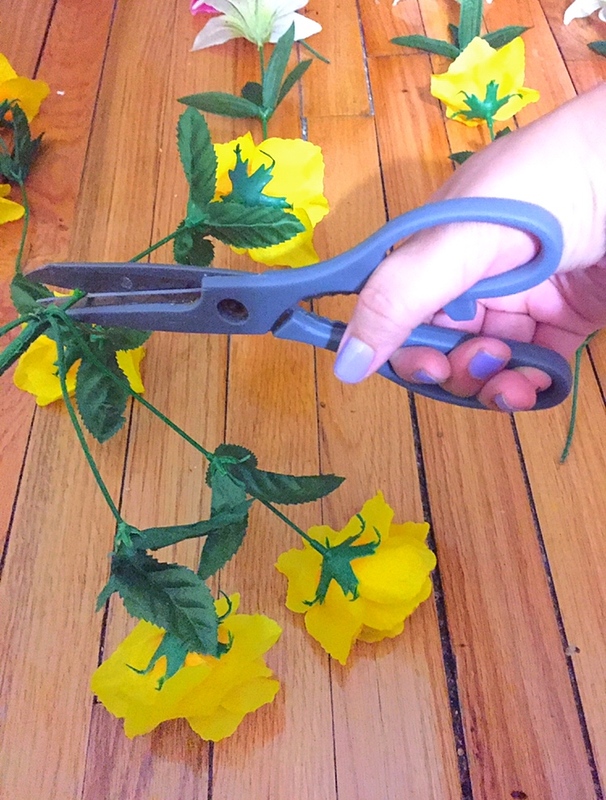 Start cutting your flowers off the bouquets to make them individuals with scissors or wire cutters. Try to cut as close to the end as possible. 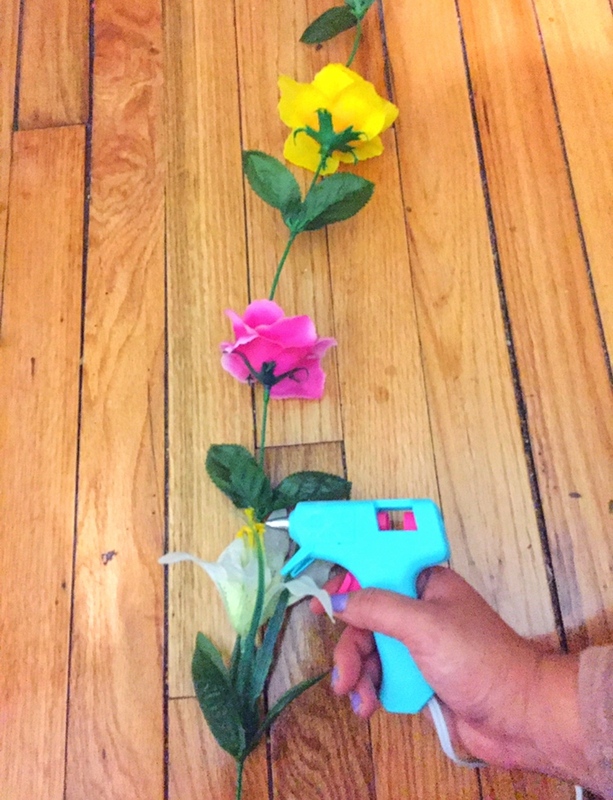 Now it's time to use your glue gun, put a dab of glue on the tip of the stem of a flower and then place that stem in the center petals of the flower you want to glue it to. Repeat this step until you finish the pattern of your flower strand. 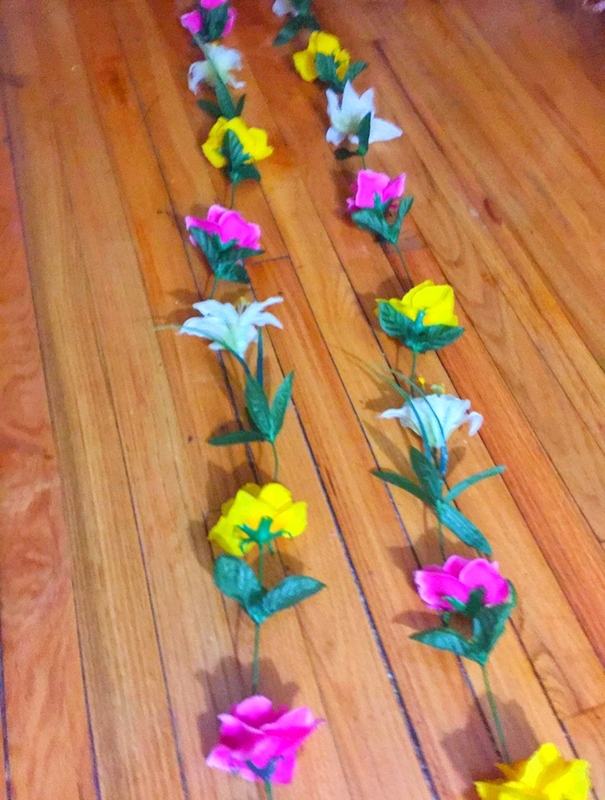 I made five floral strands in total, alternating in patterns. Make sure everything is securely glued and let them dry for a couple of hours before attempting to place them on the wall! 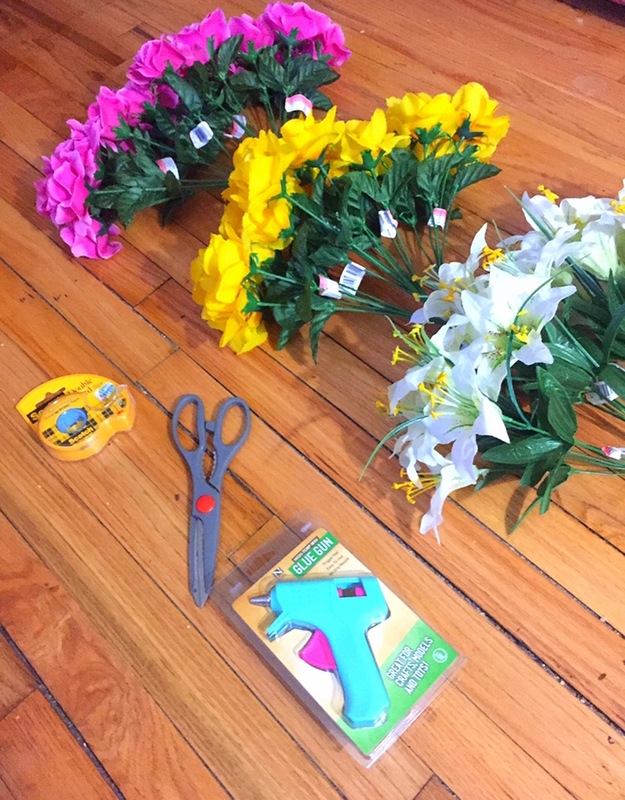 From other DIY tutorials, most people used tape to hang their floral arrangement or clear fishing lines. I found that tape did not work at all in my situation. They kept falling off so I found command strips that hold onto the center of the flower stem and stick to the wall. This option worked way better for me and these were around $6 from A.C Moore and came in a pack of twenty clips. If you plan on doing this DIY, tag me in photos. I would love to see how it turns out!